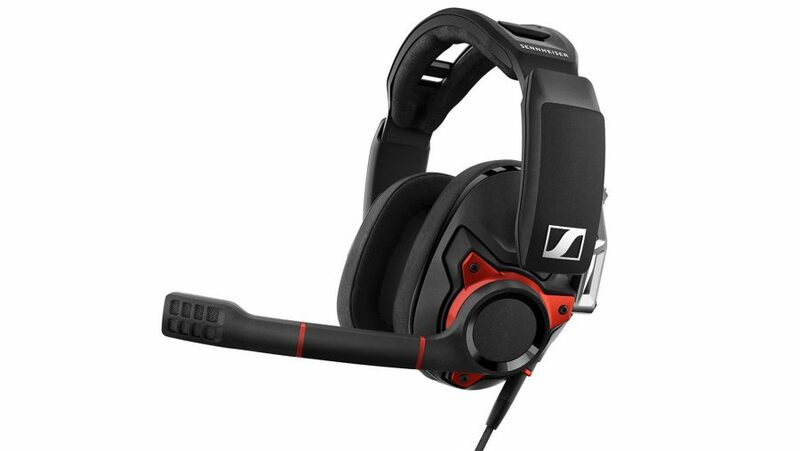 The Sennheiser GSP 600 is a closed-back gaming headset with definition and clarity. Its chunky frame is exactly what you might expect from the audio company recognised the world over: well-built, unique, and premium. It’s near-identical to the well-reviewed open-back GSP 500, too. But for all their shared successes, the closed-back model cannot justify its position as the more expensive of the unique pair. The core sound of the GSP 600 is rock-solid. The headset offers a well-rounded balance between Sennheiser’s traditionally sharp highs and bass plentiful enough to make you want to ‘drop that thun thun’ (See: Finatticz). Imaging is one of the GSP 600’s greatest strengths, and, while it may not offer onboard virtual surround, this headset has a ton of depth where it counts. Sennheiser bills this headset as a noise-cancelling gaming headset, and in that regard its marketing is spot on. From the clamp force around your ears to the impenetrable leatherette/suede-like blend ear cups, this headset keeps outside noise out. If you’re overly aware of what’s going around you with your current pair of gaming cans, then the Senny’s might be more your speed. But that noise isolation has its drawbacks. That encapsulating design keeps audio resolutely within the ear cup as well – having an adverse effect on aural comfort over time. The closed-back design of the GSP 600 generates a sharper sound than the open-back GSP 500, bordering on harsh at times. During long play sessions this sharp edge wears on the ear more so than with its airy sibling. It’s not just sound profile, either. The GSP 600 falls behind its cheaper sibling on various other counts, too. First and foremost, comfort. Both headsets offer a ton of flexibility in the ergonomics department. Sennheiser has implemented multiple adjustment sliders to keep both headsets’ considerable weight from gaining enough inertia to slip completely off your dome. But, at 395g, the GSP 600 is the weightier of the two. And while exceptional at noise isolation, the leatherette ear cups of the GSP 600 are also the stuffier of the two designs. The GSP 500 favours a breathable, yet leakier, fabric. Sennheiser has rightfully opted for the fabric that offers the most noise isolation for the closed-back design, however, the GSP 500’s breathable mesh fabric is by far the most comfortable over time. Price, too, falls in favour of the open-back. At £220 the GSP 600 loses the pricing battle with the GSP 500, and I can’t say I’m sure 100% confident as to why that is. The build quality, the style, the drivers, it’s all the same between the two. Leatherette must be in short supply. On the plus side, the microphone remains the same as well. The flip-to-mute mic arm may be non-removable, but it’s clear and suitably noise-cancelling. The arm has just enough flexibility to maneuver it out of popping distance and your friend/nemesis shouldn’t have any issue hearing your cries of elation/vitriol. The difference between the two designs, while simple in theory, makes for a noticeable difference in how a headset sounds. The GSP 600 certainly has its place in the Sennheiser line-up. Noise isolation can fall high on the list of priorities for many gamers out there. Neither exterior noise nor internal audio will get through the chunky GSP 600, and there are few headsets on the market capable of getting that done with such finesse and without exuding too much force on your cranium. But if that isn’t priority numero uno for you, then the GSP 500 is a far better bet. It’s equally capable and offers a more natural timbre. And, if the lower price tag alone wasn’t enough, it’s also comfier for longer. But there’s no denying even the cheaper set is expensive at best. If Sennheiser’s signature profile is worth that much to you, then look no further than the GSP 500. If you need that and noise isolation fit for a fighter pilot, then the GSP 600 is the way to go. Sennheiser has industry-leading audio locked down, but isn’t afraid to charge a pretty penny for its years of experience and expertise. If you want all that, and don’t mind paying a little extra for great sound isolation, the GSP 600 headset is top of the pile. 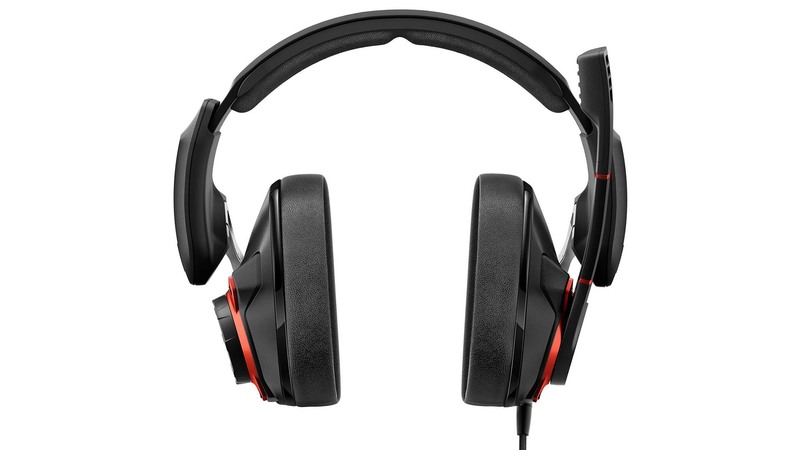 Otherwise, there are better, or better-value, gaming headsets out there.